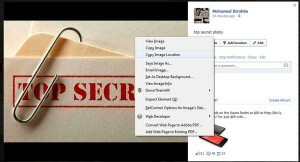 Do you have a private Facebook album or photo that is viewable only by you or by only a limited group of people? If yes, do you know that those private photos can actually be viewed by anyone as long as they have the direct URL to those photos? Let me explain how this is done. 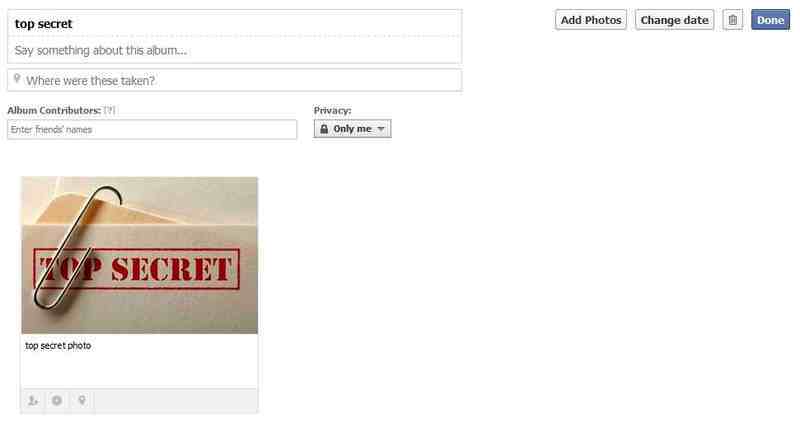 I created an album called top secret and set the privacy to "Only Me". This means that only I have the right to view the photos in this album. Now, to get the URL of the photo, I did a right click on the photo and selected the Copy Image Location option. The URL location to the private photo is https://fbcdn-sphotos-c-a.akamaihd.net/hphotos-ak-frc3/t1/1798664_10152277020429489_252204426_n.jpg. This means that whoever has the URL link to my private pictures are able to view them without any restriction. They do not even need a Facebook account. How safe is that? You be the judge. If you are not aware, Facebook also has this "Share Album" feature which allows you to share an album with anyone, even if they don’t have a Facebook account.